Summertime is the quinessential feel good (and do good) time of the year. If you made it to Austin for SXSW, then it feels like it's here. The mid 80's temperature and sunshine to the max had us feeling those summer vibrations. Keeping the good vibes going, we have curated some great products perfect for all your summer adventures. How does a pair of stylish, comfortable and durable flip flops that fights pediatric cancer sound to you? A yoga and meditation retreat with the acclaimed Elena Brower and Ally Bogard lakeside in Northern Italy? On the go from beach, brunch, yoga or have just been melting in the sun? We've got you covered for all of summer adventures. Great for feeling exhilaratingly clean throughout all of your sunny day activities, the YUNI "SWEAT, REFRESH, GO" kit is packed with everything you need. What you get are four amazing natural, no water needed products in a printed pouch that is reminiscent of the ocean. The set fits perfectly in a beach bag, yoga bag or carry-on; and with a little room to spare inside, the pouch can hold other small travel essentials. Although it is designed with yoga lovers in mind, we make great use of this kit after surfing, while camping and during festivals. SHOWER SHEETS (x3): Waterless shower sheets that cleanse and deodorize for a straight from the shower feeling, featuring 100% natural aromas. FLASH BATH NO-RINSE FOAMING CLEANSER: No-rinse body cleansing foam that sweeps away sweat, dirt and that "I slept in a tent" smell. Just apply and go. Better yet, give your self a buffing with a towel after for extra freshness. CHILLAX MUSCLE RECOVERY GEL: No heavy or greasy residue and totally lightweight, this plant-based gel gives recovering muscles a breath of new life. The refreshingly cool, tingly feeling is great for tired legs. It's also not a bad mental escape from the heat. .
MY OM WORLD AROMATIC BODY MIST: This heavenly micro-mist goes everywhere with us. Derived from completely natural essentials, it has an intoxicatingly fresh smell with notes of geranium, bergamot, neroli and sage. The husband and wife duo behind Yuni are formerly from Aveda, with long histories in the natural cosmetics industry and with using ethically sourced ingredients. They are also Ashtanga yoga teachers who saw a need for the active and mindful individual that is always on the move. Together they have created a line of organic products derived from sustainably sourced natural ingredients and essential oils . The means they are non-toxic, plant-based ingredients, with no synthetic colors or fragrances, toxic chemicals, sulfates, mineral oils, GMOs, PABA, EDTA and PEGS. Also vegan, cruelty-free, compostable and biodegradable, which makes them great for use in the wild outdoors. Our reliable brand of flip flops was abandoned when we discovered Hari Mari. They are super comfortable with a trademarked “Seamless Memory Foam Toe,” arch supports and insoles that whisk away moisture, reducing slippage. There is no break-in period, although we enjoy ours with age just like we do our favorite jeans. An added bonus that they feature a carbon-free, 100% rubber outsole, which makes them not only great for a multitude of terrains, but also boat safe. The founders of HARI MARI wanted to create not only colorful flip flops with durability and comfort in mind, but they also aimed to help others. Inspired by the couple’s time working in Southeast Asia with children, they knew that they wanted to continue helping little lives with their company. Working with centers for pediatric oncology and hematology, one percent of all sales goes to families battling pediatric cancer. HARI MARI also supports sustainability with a flip flop recycling program. 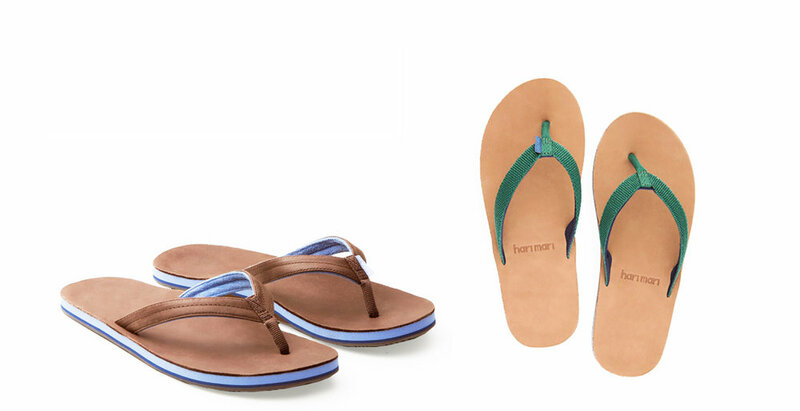 Customers can send used flip flops from any brand for 15% off their next purchase. Sustainably grown textiles and renewable materials are also used when possible. COOLA and designer/author Cynthia Rowley have teamed up to create a skin saving kit perfect for summer that benefits the Ocean Conservancy Organization. All profits from their limited edition “CHANGE SUNCARE KIT” will be donated to the group, which works to clean up beaches. This TSA approved carry-on sized kit includes four great products that will keep you glowing and safe from the sun. MINERAL SPORT LOTION CIRTRUS MIMOSA SPF 30 MOISTURIZER: Water-resistant for up to 80 minutes, this SPF 30 moisturizer is also infused with age-defying antioxidants. We love its natural citrus scent and the non-greasy texture that sinks into our skin. Ingredients include: arnica extract, Hawaiian Kukui seed oil, organic coconut oil, organic orange water and organic avocado oil, which all work together like a well-oiled machine to sooth and repair skin. RŌSILLIANCE® GOLDEN BB+ CREAM SPF 30 MOISTURIZER: The tinted moisturizer of your dreams, this more than 70% organic cream gives you that flawless glow without the heaviness of foundation. Not only is it formulated with with a mineral broad spectrum SPF 30 that is water resistant, but it is enhanced with rose stem cells that improve signs of aging of sun damage. We love it’s light rose scent too! MINERAL LIPLUX® SPF30 - FIRECRACKER: Don’t overlook your lips when it comes to sun protection. Formulated with nourishing organic cupuacu butter and mongongo oil, lips feel Both smoother and plumper with each use. The versatile shade is natural and sheer and great alone or as a protective moisturizing base. Not only does COOLA collaborate with great charities like the Ocean Conservancy Organization but the company also supports the Melanoma Research Alliance and Healthy Child Healthy World groups. Their eco-conscious products use as much natural, organic, sustainably and locally sourced ingredients as possible. The entire line is packed with vitamins and is free of parabens, paba and phthalates. Also, COOLA offers organic formulas that contain over 70% certified organic ingredients, which is a unique achievement in the sunscreen market. Diff Eyewear creates sunglasses that are stylish, affordable and socially conscious. With over 100 different color combinations and styles, it was hard to pick our favorite pair. In the end our heart was won by the “Becky,” with a glamorous gold frame and brown gradient lens. The lenses offer 100% UVA/UVB protection and are scratch resistant. Super durable with a stainless steel frame, these beauties are a bargain with an $85 price tag. Diff Eyewear’s offerings are stunningly fashionable and benefit those in need. The company employs a “one for one” program, donating a pair of glasses to someone in need for every pair of glasses sold. The company partners with nonprofit Eyes of Africa and Restoring Vision. Their “Sabo Project,” also employs female artisans in Africa to make colorful eyewear pouches. The project pays fair wages and even offers workers meals during work. In 2017, the company began a partnership with Student Volunteer Optometric Services. This group sends optometry students to underdeveloped countries to provide eye care to communities in need. Together they hope to restore vision to over 10,000 people worldwide. From the beautiful mountainous state of North Carolina, Asheville based Eagles Nest Outfitters Inc. (ENO) knows a thing or two about hanging out in the wild. One of their specialties is hammocks. The Giving Back DoubleNest Hammock has enough space for two and it's where we plan to relax while lakeside. Its breathable nylon material is quick-drying, making a post-swim nap completely welcomed. It does get better! A percentage of the proceeds are given to different organizations for each of six designated color styles. We love this peaceful green version that benefits Leave No Trace, an organization that educates and inspires people to enjoy the outdoors while leaving no negative impact. 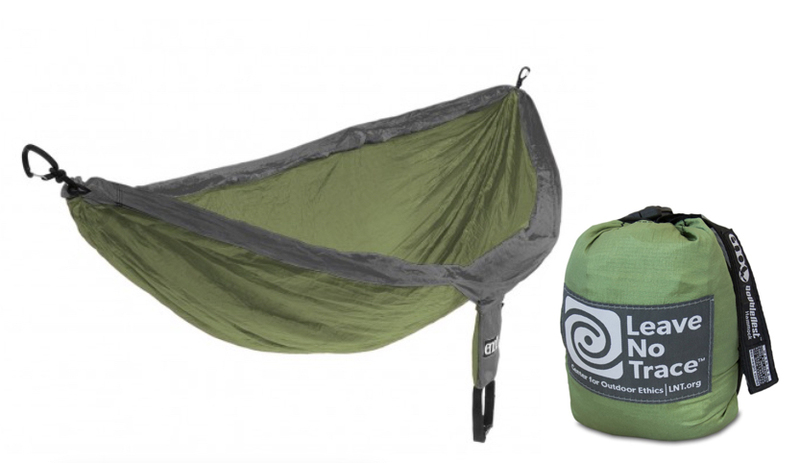 The company’s Giving Back DoubleNest Hammock benefits not one, but a total of six earth-conscious groups. These include: Appalachian Trail Conservancy, Continental Divide Trail Coalition, Leave No Trace, National Park Foundation, Pacific Crest Trail Association and Waterkeeper Alliance. They also welcome charitable or positive change enacting organizations to apply for product donation.. The company is also partnered with The Conversation Alliance and The Outdoor Gear Builders of WNC. Get the most out of your summer travel by attending a personal growth workshop at the MANDALI RETREAT CENTER. An hour’s drive from Milan, the non-profit organization’s center is on a hilltop overlooking Lake Orta in beautiful Northern Italy. The center was designed with reference to Italian medieval villages, complete with cobblestone walkways. However, accommodations are far from medieval with a variety of rooms to accommodate groups and solitaire visitors alike. In August join acclaimed yoga and meditation teachers Elena Brower and Ally Bogard for the “Doorways to The Self - A Luminary School” seven-day program. According to the retreat’s listing on the Mandali Retreat Center's website, “You’ll uncover your innate radiant energy in order to refine your voice, cultivate physical and emotional consistency and amplify meaning in your life and your practice.” That sounds like a great way to take some time off from the daily grind. The retreat is organized by German based YOGAdelight, who is responsible for this event and many other yoga workshops and retreats throughout Europe. Pre-registration is required at their website in order to secure your room at the Mandali Retreat Center. This is an opportunity you do not want to miss and if you book before March 17, 2018 you receive an early bird discount. All-level body aligning yoga and breathing practices will accompany self-reflective meditation and group discussions. All meals are included with your stay and a variety of accommodations are still available. We personally think staying in the group bunk room with friends would be a really cool throwback to summer camp. You can also add to you stay massage sessions and other body treatments. We also suggest you bring along Elena's latest book "Practice You," which offers up the ability to explore self-care through journaling and reflection. This opportunity sounds like a perfect time to make great use of it's beautifully designed pages. Check out our EXCLUSIVE FEATURE WITH ELENA BROWER HERE!